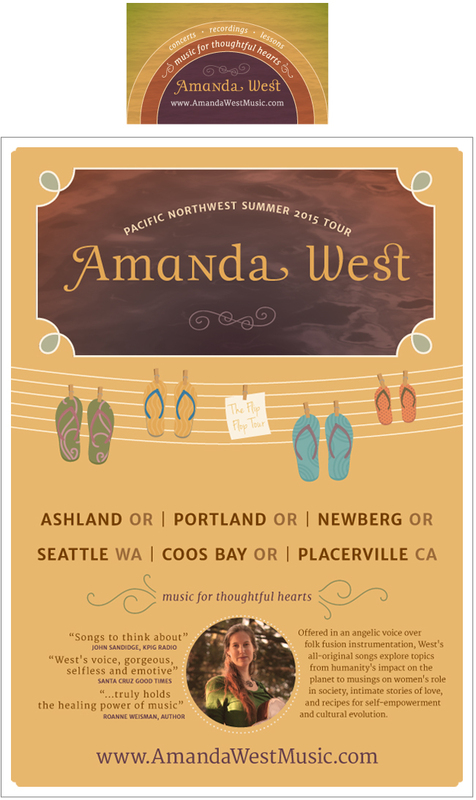 Identity and branding for musician Amanda West. All of the pieces I designed echo the authentic, unique and grounded music. Business card and tour poster. Web banner and social media posts. 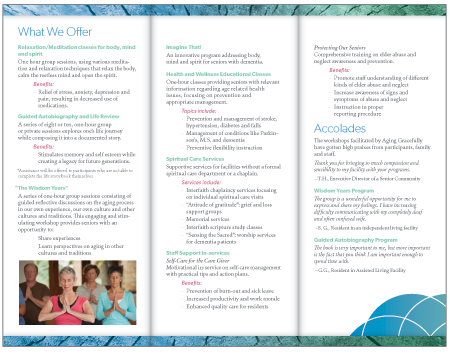 Project: Create a visual brand for Aging Gracefully, which offers supportive and innovative programs which meet the needs of those in later life. Branding for a Budhist author who writes spiritual themed novels for teenagers. Deleverables include website header, blog header, Twitter header, and Youtube header.